As the state looks for ways to deal with the effects of the opioid epidemic, one type of program has seen a steady increase in use during the past year in West Virginia’s two biggest cities. Needle exchanges in Charleston and Huntington are providing services to more addicts each week, but are struggling to find the money needed to expand. William Thaxton is a recovery coach with Recovery Point in Huntington. It’s an addiction treatment center in Huntington focused on faith-based recovery and giving back to the community. He’s one a few counselors who work at the syringe exchange in Huntington each Wednesday. Thaxton is 20 months sober himself and has been through the recovery program at Recovery Point. His job at the syringe exchange is to let others going through addiction know that there is a way out. "I wish we could have them on every corner," Thaxton said. "We’ve actually taken a couple people to treatment, which is huge. That is amazing when someone walks in here and wants to go to treatment, because that’s the goal. You don’t have to use drugs the rest of your life, there is, recovery is possible and it’s out there." Expansion is a notion that both syringe exchange programs in both Huntington and Charleston are exploring. 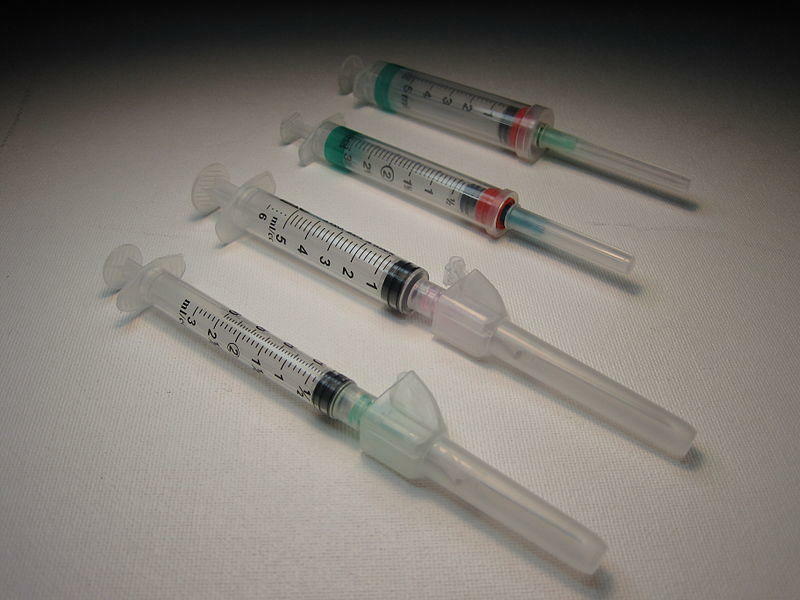 A syringe exchange program allows those using the needles for intravenous drug use to exchange their used needles for clean ones. The hope is to prevent the spread of diseases like hepatitis B and C, and HIV. It’s a tactic cities like Huntington, Charleston, Wheeling and Morgantown are using to cut down on the prevalence of those diseases. Dr. Michael Brumage is the Executive Director and Health Officer of the Kanawha-Charleston Health Department. "After a year, the program continues to grow either fortunately or unfortunately, as you choose to look at it, but what it means is we’re getting more and more people who are using who are coming into our facility," Brumage said. The program in Charleston started in December 2015. They used a model that had worked in Huntington for three months. Huntington’s program started in September 2015. In both cities, those seeking needles can come to the health department facilities and anonymously receive clean ones. Both needle exchanges operate one day a week. Sixteen hundred different people have used Charleston’s exchange in the year since it started. They had their single biggest day last month, with 210 patients in five hours. Huntington’s exchange provided needles for 1,973 individuals in its first year. Dr. Michael Kilkenny is the Physician Director at the Cabell-Huntington Health Department. "We had really unexpected exponential growth of the program -- we started out with 15 people on the first day and within four months we were over 100 a day and now we’re averaging somewhere in the 160 to 180 every session," Kilkenny said. Kilkenny said the majority of the people who used Huntington’s exchange were from Cabell County. Kilkenny said there are neighborhoods in the county and city that he knows have prevalent heroin use, but he isn’t seeing people from those neighborhoods at the syringe exchange. He said that’s where growing the program comes in, but it’s been slow in coming. "Expansion could look like any number of options, more days in the same location to multiple locations that are fixed or even mobile," Kilkenny said. Why has expansion been slow? The simple answer is funding. Both Huntington and Charleston operate their programs using private donations and grants. And sometimes federal funding, which can be slow to show up. 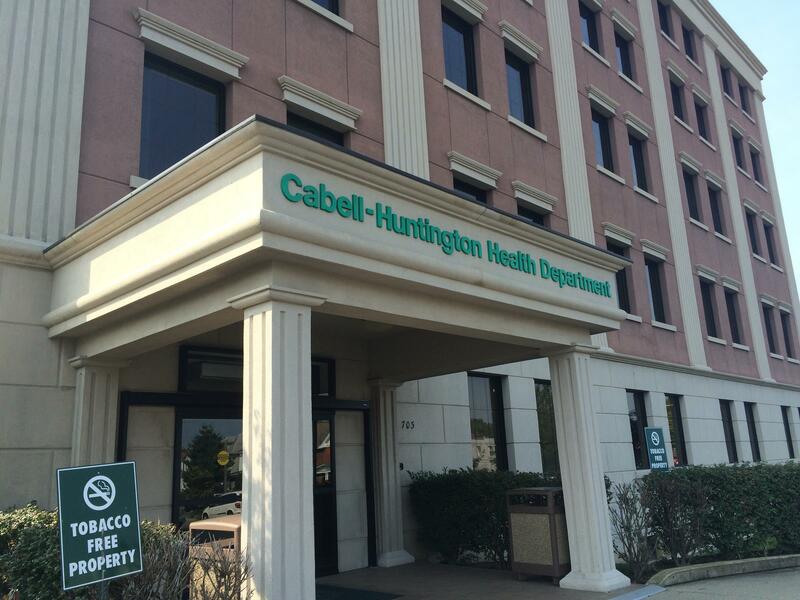 Kilkenny hopes the Cabell-Huntington Health Department can obtain a grant from the Appalachian Regional Commission that could help the process. Dr. Brumage in Charleston said these programs have two hopes, one to get more people into recovery programs, but also to reduce the number of hepatitis C and HIV cases in the area. But he said that’s not easy to figure out this early in the process. "One, we don’t really know what the true prevalence of hepatitis B, C or HIV is in our population because a number of people aren’t coming in to get tested," Brumage said. "So as we test more, what we’re going to expect to see is an increase, but that’s not because it’s an increase in the number of cases, but an increase in the detection of cases." Brumage said it’ll take 2-3 years to get enough data to study the prevalence of hepatitis B, C and HIV in the area. But he said other studies show that syringe exchange programs have reduced the prevalence of these diseases. Those studies he’s talking about were ones conducted by the CDC in New York from 1990 to 2002. They showed a dip from 50 percent to 17 percent in HIV cases. Another study examined the syringe exchange in New York from 1990 to 2001 and found that Hepatitis C numbers decreased in prevalence from 80 percent to 59 percent among intravenous drug users. Brumage said expansion could help in the decrease of hepatitis C and HIV as they give more people throughout the county these opportunities. "If we can prevent a single case of hepatitis C, that basically pays for one patient to recover," Brumage said. "So we know these things work and frankly it is a little frustrating that we have to go hat in hand to request funding, but we’re working with a number of different people and we hope there is ways that we can access some of the federal funding." Brumage and Kilkenny both want to expand their operations because they’ve seen what can happen once relationships are established with needle users. When individuals bring their needles to the health departments, they’re also checked by a nurse and offered time with counselors or recovery coaches from local rehab facilities. And if that user is ready to find a facility, the recovery coaches help find an open facility for the recovering addict.